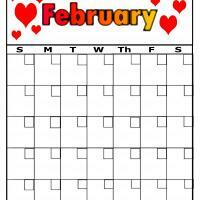 February is the month of hearts so what will fit best but a hearts themed calendar. For your loved ones, it is best to give something that is made out of your own ideas and this outlined calendar is perfect for you to add more colorful designs. Print this now!